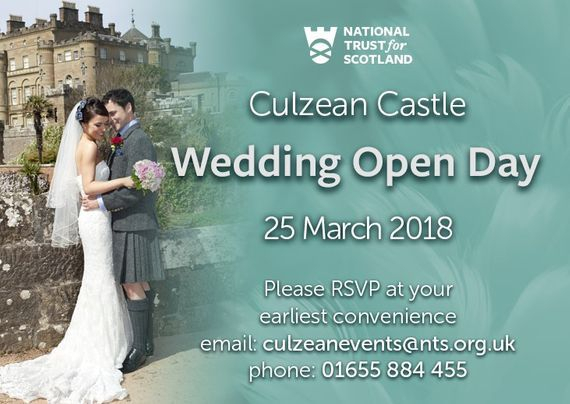 Afton Strings will be exhibiting at the Culzean Castle Wedding Open Day on March 25th, 2018! If you would like to hear Afton Strings Duo (Mark, violin and Feargus, cello) play and to meet them and have a chat, they would be delighted to see you there. Welcome to Afton Strings' home page! 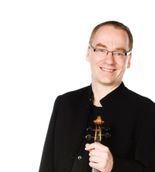 Afton Strings are a professional String Trio and Quartet available for hire in Edinburgh, Glasgow, Ayrshire, Perthshire, Loch Lomond, Argyll and Bute, Lanarkshire, Lothian, Renfrewshire and and the rest of Scotland. 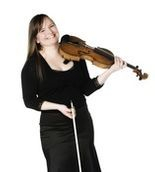 Afton Strings all Scotland- based professional players freelancing with orchestras such as Scottish Ballet and RSNO and have more than 40 years experience of playing at weddings and functions between them! Their extensive repertoire includes anything from Bach through to Abba, Cole Porter and Coldplay. Here you can hear selection of our repertoire for drinks receptions played by Mark, Nina and Russell: hope you enjoy it! More videos can be found in the sidebar or have a look at our videos page! Afton Strings can be booked as a trio, string quartet or string orchestra depending on your requirements. All members of Afton Strings are also happy to appear as soloists with the organist during the ceremony if required, please use our enquiry form for further details. We have a huge repertoire, some of which is listed under the trio repertoire or quartet repertoire in the sidebar on the right, however if there's something that you would like that isn't on the list please feel free to ask as it is very likely that we might have it in our pads. If not, we're happy to arrange the tune that you would like especially for your event for a fee. We regularly arrange songs both for our ensembles (trio or quartet) as well as on commission for other ensembles around Scotland so we guarantee a professional result. Afton Strings can also be hired to accompany choral concerts. We supply as many string players as you require, anything from single strings up to full string orchestra. The members have many years' experience of playing for choral concerts all around the UK and know most of the mainstream repertoire. The standard throughout was extraordinarily fine both musically and technically, not least in the fiendishly difficult Moeran String Trio which appeared effortless. The quartet's participation and contribution to J and O's wedding on Saturday was superb. We have had many, many complimentary comments about the beautiful sound made by the group and how it created a wonderful atmosphere before,during and after the ceremony. We had friends and family from Australia, Canada, United States, the Caribbean and many more European countries plus, of course, Kilmarnock! Now the quartet's fine playing will be getting talked about,literally, world wide! Thank you for helping to make J and O's wedding day truly memorable. Well what can I say you guys were absolutely amazing on our wedding day!! The amount of guests that commented on your playing and who were almost crying to the Braveheart music or other pieces at some point was crazy!! You guys are clearly very very talented at what you do and I can't comment highly enough how good you are!! I know it's a month ago since our wedding but I just wanted to say thank you from us both for playing during our ceremony and for our guests afterwards. We had lots of feedback about how good you were from our guests! I'm slightly gutted we didn't get to hear more of your playing ourselves but the photo taking ended up taking over! We would most definitely recommend you on to anyone else who might need your services - and if we ever get married again we will give you a call! Thank you for playing so beautifully at our wedding. Sorry we didn't get an opportunity to say thank you on the day. THe guests really enjoyed the strings and your playing brought a tear to many an eye! For more wedding testimonials as well as info about how to book Afton Strings for your wedding, please visit the Wedding Packages page.